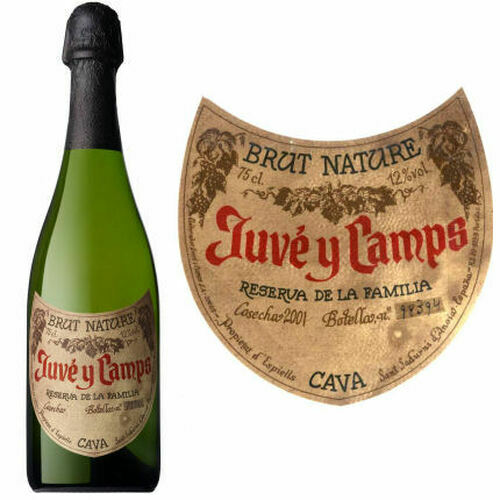 Reserva de la Familia is the flagship cuvee of the Juve y Camps estate winery. 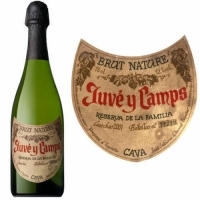 In the beginning days of their winemaking, the Juve y Camps family had their own reserve of this Cava, and it is still the only Brut Nature that they make. Made from the free run juic e of traditional varieties Macabeo, Xarel. lo and Parellada and a touch of Chardonnay, this is the Cava of choice of Spain's royal family, and it is regularly served at all official banquets. TASTING NOTES: Pale gold in color, this Cava has aromas of mature white peach, toasted bread and green tea with hints of lemon c itrus and apricots. Equally rich and broad on the palate, these flavors continue to unfold on the palate.